Martyn Jones is Alder King’s senior partner, a role he has held since 2009, and is responsible for the strategic direction of the firm. A RICS Registered Valuer, he also heads up the firm’s professional services team incorporating our valuation, lease advisory and business rates teams. Martyn has over 30 years’ experience as a chartered surveyor. His particular specialism is commercial property valuation and landlord and tenant matters. 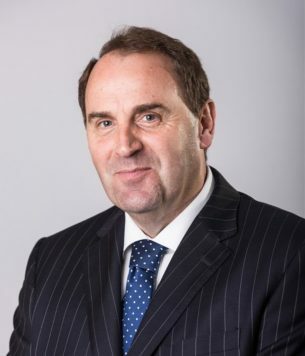 His unrivalled knowledge of the South West and Welsh property markets means he is frequently in demand as an expert witness in valuation and rental disputes. He is regularly appointed by the President of the RICS to act as Arbitrator or Independent Expert in complex disputes covering a range of property and associated matters. Martyn is a Fellow of the RICS. He is also a member of Arbrix, the West of England Initiative and the Managing Partners Forum.